1. Web design and outreach. This student will design and maintain the project website and social media, design artwork, and communicate with the public. 2. Specimen curation and photography. 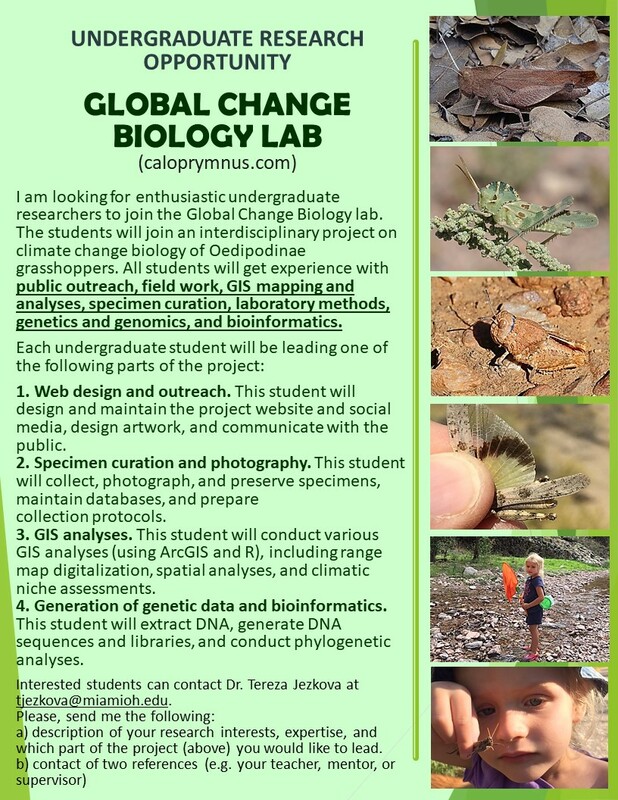 This student will collect, photograph, and preserve specimens, maintain databases, and prepare collection protocols. 3. GIS analyses. This student will conduct various GIS analyses (using ArcGIS and R), including range map digitalization, spatial analyses, and climatic niche assessments. a) description of your research interests, expertise, and which part of the project (above) you are most interested in.